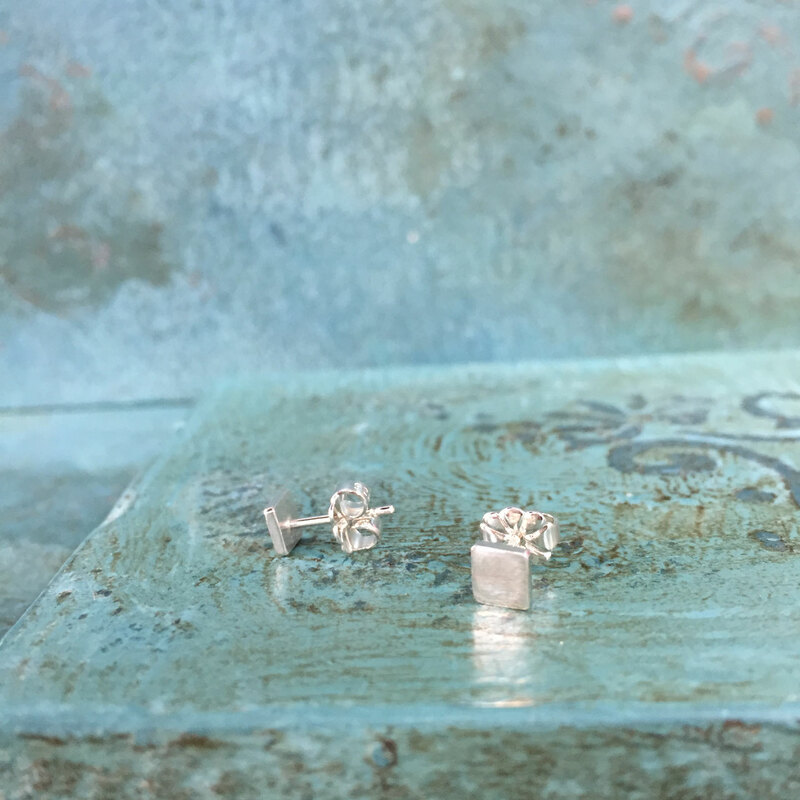 These little silver square studs are gorgeously minimal & elegant, perfect to wear alone or with other earrings. The earrings are finished by hand with a matte effect. They measure roughly 5x5mm, but due to each pair being made by hand the size might vary slightly!